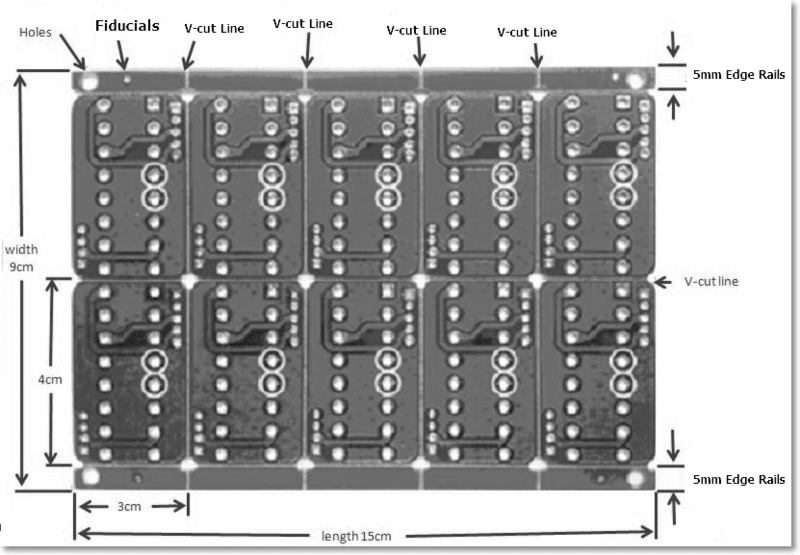 For Multi Layer PCB, the maximum dimension is 390x390mm. Solder Mask LPI Liquid Photo-Imageable Solder Mask is the most common mask type. No extra fee for different color of solder mask. 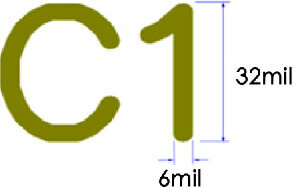 ( T<1.0mm) ± 0.1mm e.g. 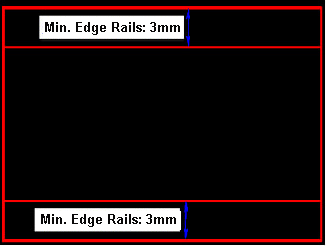 For the 0.8mm board thickness, the finished board thickness ranges from 0.7mm(T-0.1) to 0.9mm(T+0.1). For Multi Layer PCB, the minimum trace width is 3.5mil. 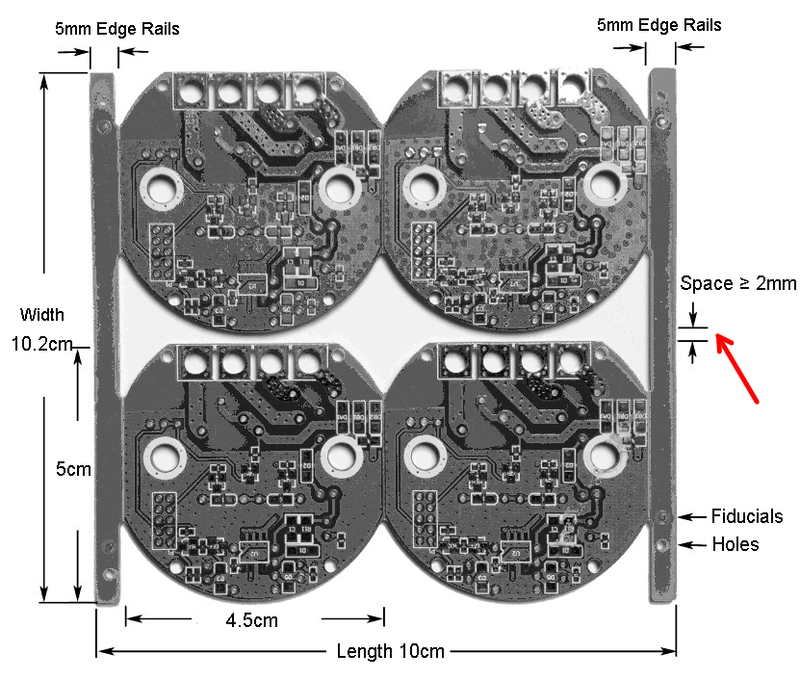 For Multi Layer PCB, the minimum spacing is 3.5mil. 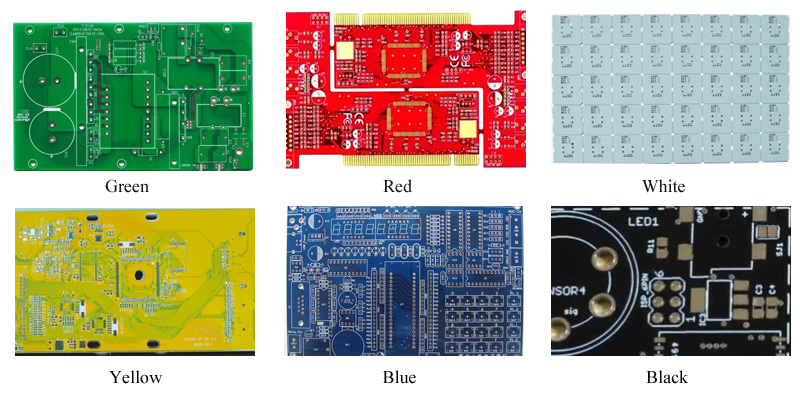 For Multi Layer PCB, the minimum via hole size is 0.2mm. For Multi Layer PCB, the minimum via diameter is 0.45mm. 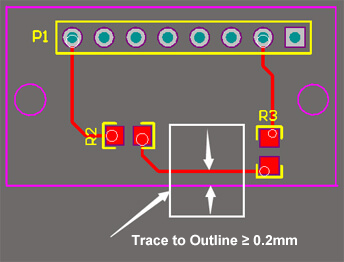 Via To Trace ≥5mil Minimum distance between via(plated holes) and trace is 5mil. Drill Hole Size 0.2--6.3mm Min. drill size is 0.2mm, Max. drill size is 6.3mm. 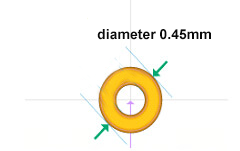 Hole Size Tolerance ±0.08mm e.g. 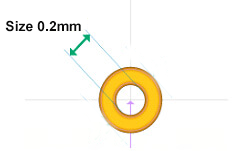 For the 0.6mm hole, the finished hole size between 0.52mm to 0.68mm is acceptable. Min. Character Width ≥6mil Characters width less than 6mil(0.153mm) will be unidentifiable. Min. Character Height ≥32mil Characters height less than 32mil will be unidentifiable. Panelization with space ≥2mm Make sure the space between boards should be ≥2mm, otherwise it will be hard to process for rounting. Copper Hatching with Pads Hatch We will apply Copper Hatching if your PCBs designed with Pads. Slot Drawing with Pads Outline Please use Outline to design if there are many non-plated (NPTH) holes. Protel/dxp Solder Layer Solder Layer Do not mistake the Paste Layer as Solder Layer. Protel/dxp Outline Layer Keepout Layer/Mechanical Layer Only choose one from Keepout Layer or Mechanical Layer as outline. Min. Half Hole Diameter 0.6mm Half hole is a special technology, so half hole diameter should be greater than 0.6mm.